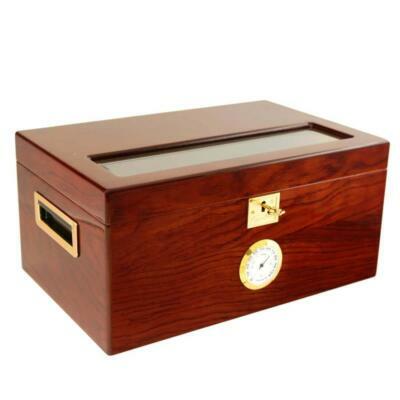 Are you looking for a unique and classy cigar humidor? 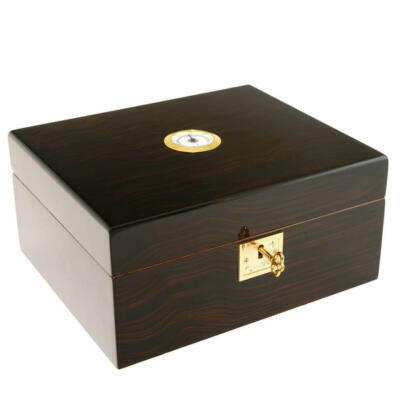 Limited Edition Humidors made with exotic rare woods. 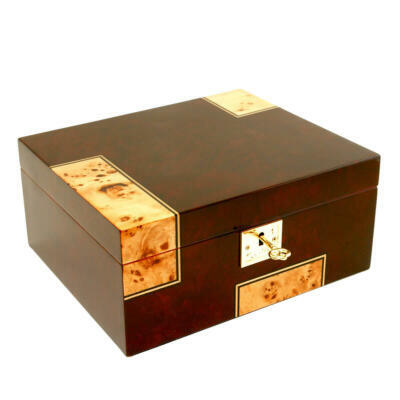 Rich wood grains dance in the light and pop with detail. 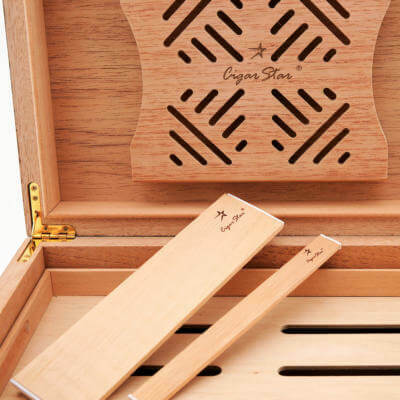 The same fine exquisite woods in our Limited Edition Series humidors, are found inside of Mercedes, BMW, Lexus, & Bentley automobiles just to give you an idea. 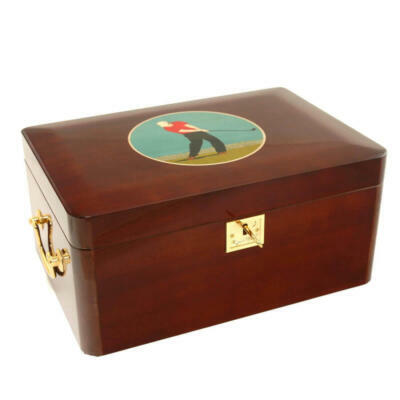 We took special pride in manufacturing our limited edition humidors. 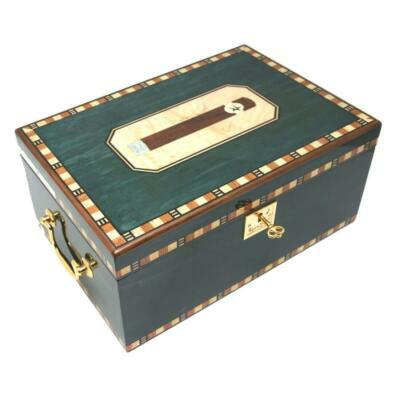 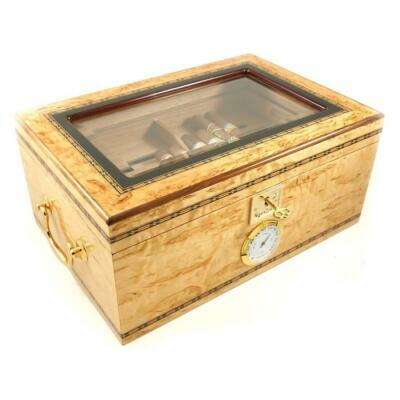 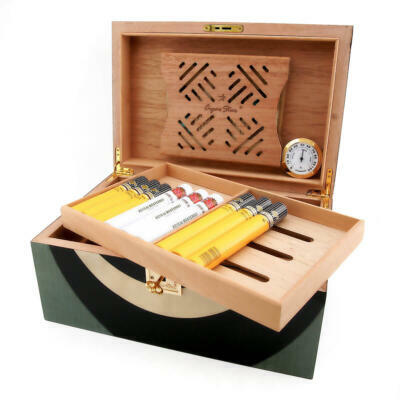 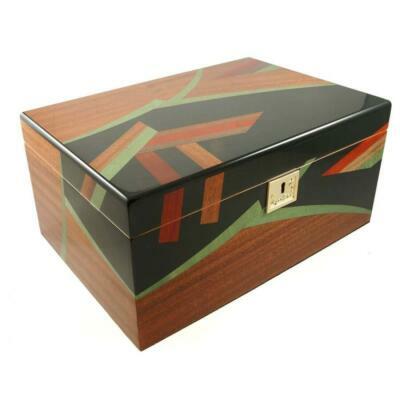 Only our most skilled team handcraft these humidors into pieces of art. 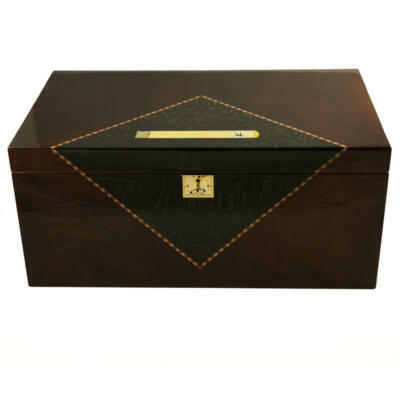 You will not find higher quality cigar humidors in the market then our Cigar Star Limited Edition Series line at our price point. 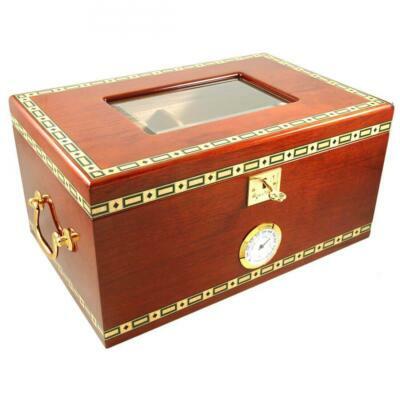 Limited Edition Series Cigar Star Humidors carry a 5 year warranty. 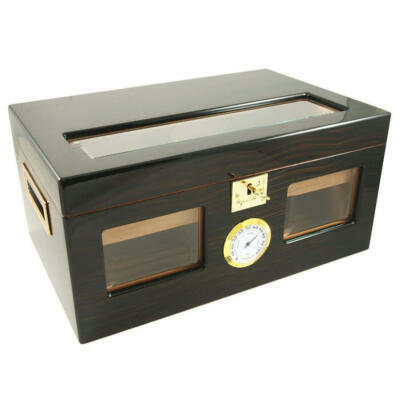 Perfect Ager III 150 Cigar Star Humidor Ebony Wood!